We just finished up our Village Fitness Challenge. It was a huge success. The challenge is by no means a rapid weight-loss program. Yet, many of our participants view it as such. We had more than a few clients become disenchanted when they didn’t lose as much weight in weeks 3 and 4 as they had in the first week. If you’ve ever tried to lose weight before, you’ve likely come to a point where the weight loss process slowed or stopped working. So what do you do? Most people look for something else or give up altogether. We look to things like “eating breakfast”, “low-carb”, “restriction-diets”, “detoxes”, and everything else under the sun for results. The list is endless. Eventually, your weight loss will stall and you’ll look for something else. Don’t get me wrong, many of the diet programs out there have solid principles behind them. The problem is that they are often inordinate, confounded, and too drastic. Most diets leave the dieter frustrated with their body rather than satisfied with the results. Instead of resorting to drastic, single-minded approaches like drinking a shake for most of your meals, we need to look at why the previous attempts didn’t work. What’s wrong with my diet? Each of the above options could be eliminated from your life. For some people, they wouldn’t notice a difference in their quality of life. They may even lose weight and keep it off. For other people, eliminating gluten, or dairy, or going organic would impair their quality of life drastically. Telling a mom of young kids to make special meals for herself 3 times a day is simply unrealistic. A businessman with little time to spare may be much better off eating 2 to 3 larger and healthy meals during the day than getting stressed out about not getting all six meals in every day. The point is: figure out why you’re previous attempts to lose weight have failed. Then, change things so you succeed. There isn’t a surefire weight loss solution for every person. What follows are four common reasons we see people struggle to lose weight. Food journaling is a proven way to lose weight. I love My Fitness Pal (MFP). I’ve seen so many clients have success in their weight loss journey simply by inputting everything they eat into MFP. One thing I dislike is that at the end of each day you track your food, MFP tells you how much you’ll weigh if you keep eating like that. 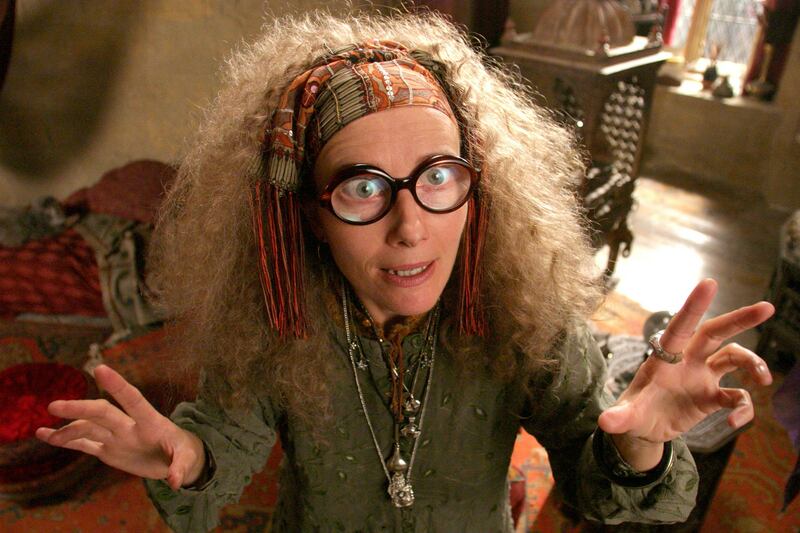 Unfortunately, MFP lacks the prophetic powers of professor Trelawney from Harry Potter. Remember her? MFP doesn’t know about your hormonal issues that have slowed your metabolism or the fact that you’re going through menopause. In fact, it doesn’t know you at all. MFP also doesn’t know exactly how many calories are in the food you’re eating. You may be consuming more or less than you think even if you’re tracking everything. Food journaling is great for bringing awareness to how much and what you are eating. But, food calories are difficult to calculate and the calories you burn are tough to measure. If you tell MFP you want to lose 1 pound per week, it will put you in what it deems is a 500 calorie deficit. After a week, you’ll either have lost a pound or you won’t. At this point, instead of getting frustrated, make adjustments as needed. If you lost a pound, great. Keep it up. If not, try taking out another 100 calories per day for the next week and go at it again. Genetics play a huge role in weight loss. Sorry. You probably have that friend (or spouse) who seems to be able to eat whatever they want and not gain weight. They are probably taller than you, right? Our basal metabolic rate (BMR) or the amount of calories we burn at rest, is tightly correlated with the amount of lean body mass we have. That taller someone is, the more lean body mass they will likely have. Side note: one of the best ways to increase your lean body mass and calorie burning ability is to lift heavy weights. A person who is 6’5” could burn as many as 500 more calories per day than someone who is 5’5”. Add in activity and the gap grows even larger. Although unfair, it’s true. Tall people can eat more. Damn them! Men can usually eat more calories than women too. Don’t hate us! Simply following a template that worked for someone else can be a surefire way to end up frustrated with your weight loss. You need to be constantly evaluating how things are going. If you’re not losing weight, you need to figure out why and make changes. It could be that you are eating too much for your current metabolic level. Now, the amount of meals you eat in a day does not affect your ability to lose weight. I used to be a big pusher of the 6 meals a day thing. I thought if I didn’t snack every few hours, my metabolism would totally shut down. Science has shown this isn’t true. The amount of meals you eat pales in comparison to how much you’re eating total each day. I think MFP will provide you a good starting point if you put in your height and activity level. Just be really honest with how much you eat and move. Then, don’t be afraid to make changes when things aren’t working. Above we talked about what you can do if your diet is not working. Now, let’s talk about what to do if your weight loss strategy works for a bit and then stops. How do you know when it’s time to try something else? Most people who start on a diet plan lose weight almost instantly. 4 to 5 pounds in the first week is not uncommon. Usually, after the initial surge, things will slow down. Sometimes, people regain a pound. Gasp! This is where i’ve seen clients make the huge mistake of upping their cardio or eating even less. There simply comes a point where you can’t do more cardio or eat less food. Slowing or halted fat loss happens to everyone at some point. Fat loss happens when you create an energy deficit between the calories you are eating and the calories you’re burning. But, as we get leaner, the amount of fat available to burn becomes less. Our bodies have a hard time keeping up with the amount of calories we are burning. When we stop losing weight, we get more extreme. If you need to lose a lot of weight (over 100 pounds) this can backfire. Here’s my recommendation: when weight loss stalls, give it a few more weeks. If you continue to not lose weight after two weeks, then change something. Start with dropping another 200-500 calories off each day. Many people were frustrated by the change in weight lost in the later weeks as compared to the first two. But, it’s totally normal. Initially, weight loss will be faster. We simply need to adjust our expectations and be ready for weight loss progress to be slower over time. Working out is great for burning a few extra calories. But, your body seeks out the lost calories like like a sailor lost at sea looks for fresh water. Sadly, our bodies are really good at not losing weight. Your body will find the calories you’ve burned in food. It’s really good at it. Often after a hard workout we “reward” ourselves with food. Sometimes the reward ends up being even more calories than we’ve burned. Fitness trackers like Fitbit can overestimate the amount of calories we’ve burned and lead us to think we can eat more than we actually should. Here’s what you gotta’ do: don’t change how you eat based on working out. If you’re tracking things on My Fitness Pal, don’t log your cardio or lifting workouts. “But I worked hard for those calories!” you protest. That’s the problem. You think because you’ve crushed a workout, it merits extra food. Listen, working out is great. It does wonderful things for your bod. But it doesn’t give you a free pass to eat like a college student. So, be patient. Try something for a while and see how it works for you. Be ready for weight loss to take a while. It’s aprocess and it happens at different speeds for everyone.